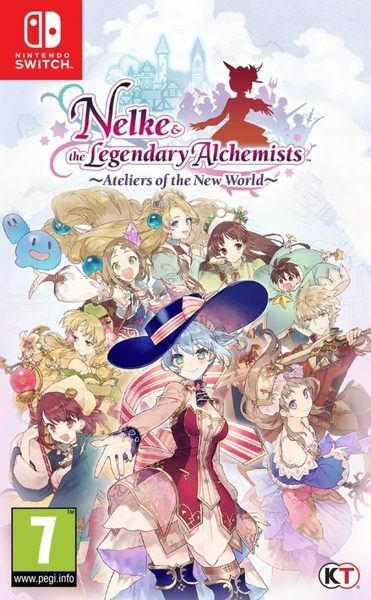 Burlingame, Calif. – March 26, 2019 – Today KOEI TECMO America officially launched Nelke & the Legendary Alchemists: Ateliers of the New World for the PlayStation®4 Computer Entertainment System, Nintendo Switch™, and digital-only on Windows PC via Steam®. Celebrating the 20th Anniversary of the Atelier series, fans are invited to enjoy the exciting new gameplay experience of turning the barren lands of Westwald into a prosperous city. Nelke & the Legendary Alchemists: Ateliers of the New World invites players to fill the shoes of Nelke von Lestamm, a young noblewoman fascinated by the ancient legend of the Sage of Granzweit; which is said to bestow great power onto those who discover the mysterious Granzweit Tree. After hearing a rumor that the Granzweit Tree might lie within her father’s lands near the small village of Westwald, Nelke begs her father to search for it. Her father only grants her permission on one condition – that she becomes governor of the area and develops Westwald into a prosperous city. To celebrate the launch of Nelke & the Legendary Alchemists: Ateliers of the New World a special early purchase DLC pack is available: The Town Building Five-Item Set Season Pass. This pack is available for the first two weeks from launch; containing the Gust 25th Anniversary Background Music Packs 1 & 2, the Atelier 20th Anniversary Appreciation House, the ‘Mysterious Alchemist’ Statue, and an additional resident: ‘Gust-chan’. Two more games have gotten updates in Japan. 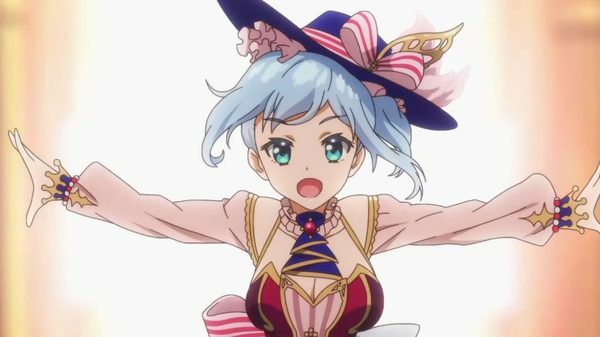 Nelke & the Legendary Alchemists: Ateliers of the New World has been bumped up to Version 1.0.3 update, which fixes bugs and issues affecting recipes, events, and the user interface. Fate/Extella Link is now at Version 1.0.2, and it fixes the leaderboard rankings issue. Nelke & the Legendary Alchemists: Ateliers of the New World is set to launch on Switch in Europe on March 29th, 2019. 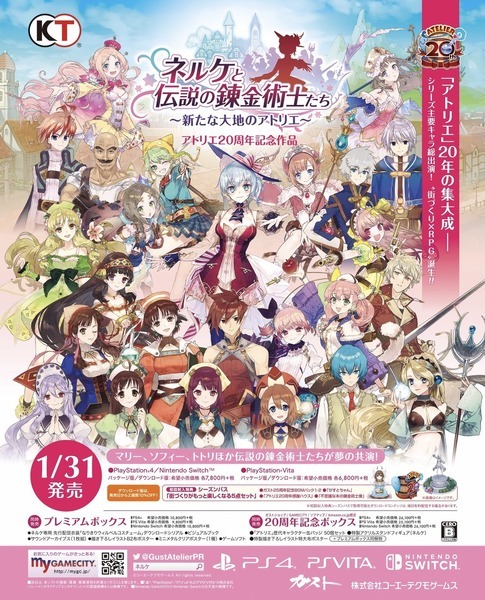 Burlingame, Calif. – February 19, 2019 – Today, KOEI TECMO America and GUST Studios revealed the most in-depth details yet surrounding the gameplay of Nelke & the Legendary Alchemists: Ateliers of the New World. The 20th Anniversary title is slated for physical and digital release on March 26, 2019 for the PlayStation®4 Computer Entertainment System, Nintendo Switch™, and digital-only on Windows PC via Steam®, and will feature everything from resource management to town building and world exploration. 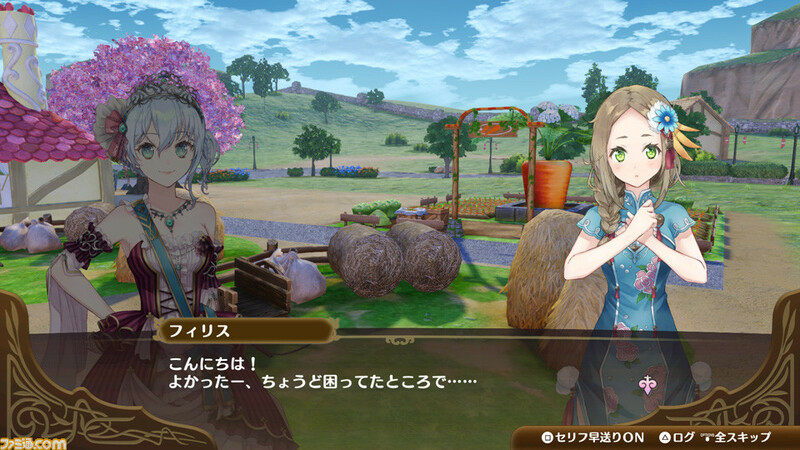 Today's batch of DLC for Nelke & the Legendary Alchemists: Ateliers of the New World adds in Gust’s own mascot Gust-chan. He will be added as a character you can recruit. Nelke & the Legendary Alchemists: Ateliers of the New World has quite the cast of characters, which is probably why Koei Tecmo decided to show them off in their latest print ad for the game. Too bad we'll have to wait a bit more for the game to see launch outside of Japan.